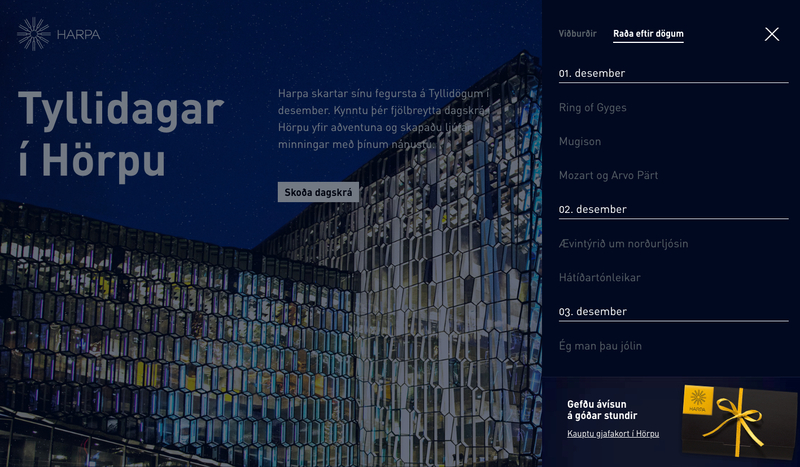 This site was designed to advertise all of the events happening in December at Harpa concert hall. 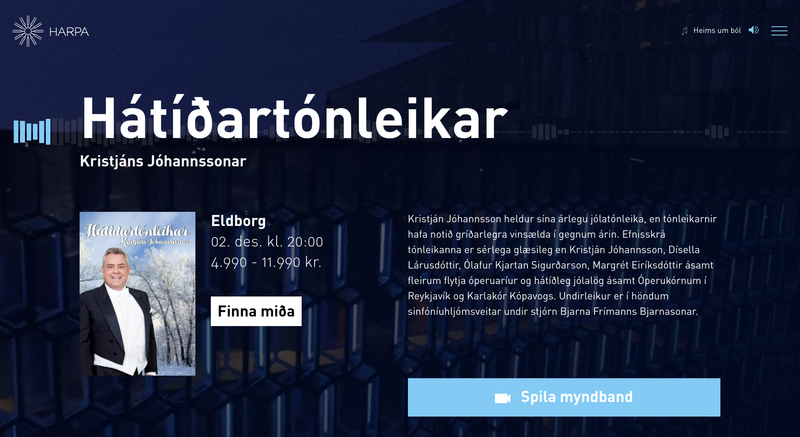 The idea for the website was to match each event poster with the coloured light panels of the outside of the Harpa concert hall and transition from each event to the next updating the colours. It required us to film the Harpa concert hall with a drone that moved round the building as it changed colour.  The site transitions with the look and feel of an app while still updating the URL to allow each event to have a unique URL for sharing. This project was great fun to work on and used lots of new web developement tools I had never used before. 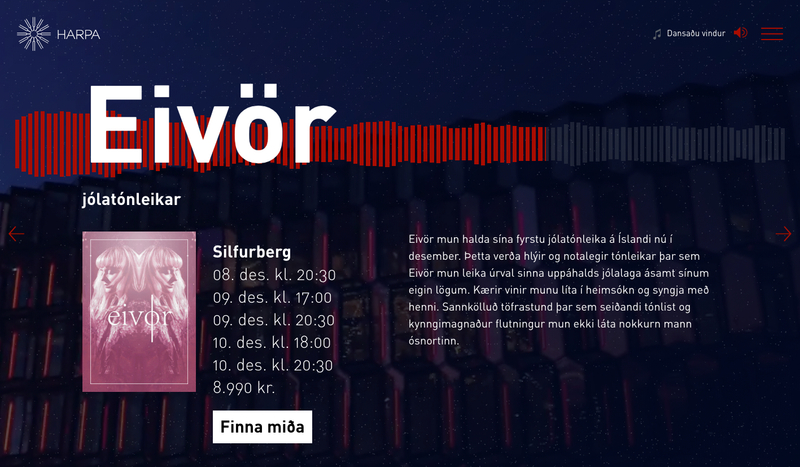 The entire site is a video background that starts and stops and audio that loads in time to an event loading. I learned a lot about video and audio on the web during the project. 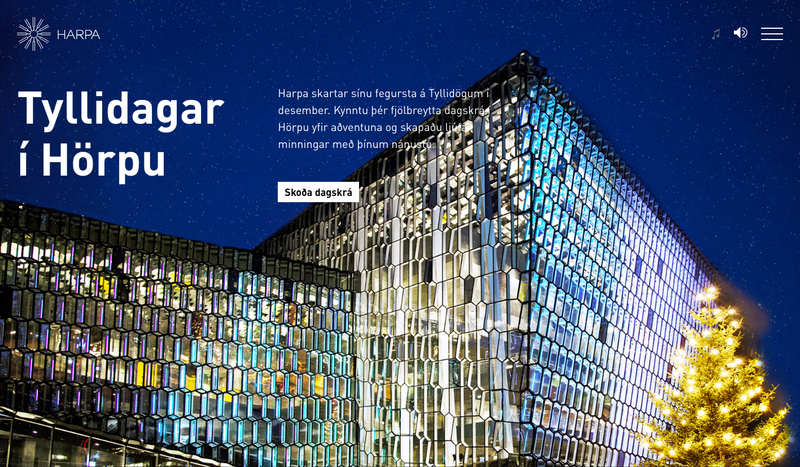 The site was nominated for an award at the SVEF Icelandic awards 2018 for best Marketing website of the year.